BHN were involved in 4 schemes (Charlton, Lord Silkin, Phoenix and Southall School) as part of Telford and Wrekin, Building Schools for the Future progamme. BHN were commissioned to develop schemes for 4 secondary schools to Outline Business Case . Three of the four schemes involved re-modelling existing schools (Phoenix School, Charlton School and Southall School). 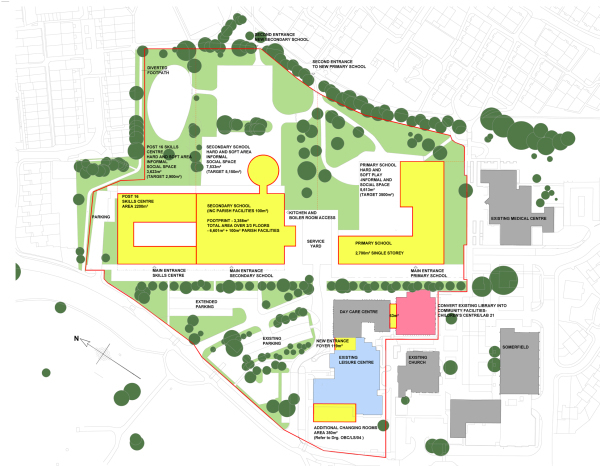 This proposal is for a new school on the site of the existing Lord Silkin School. Lord Silkin - Telford and Wrekin. The proposal comprises a new Secondary School, a new Skills Centre and a new Primary School. 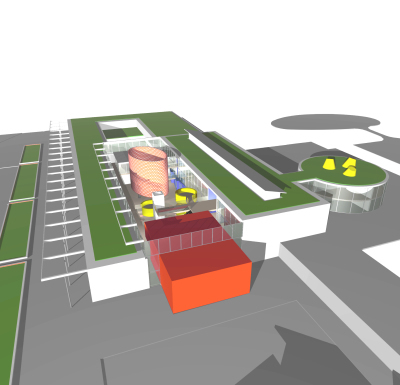 Teaching spaces in the proposed secondary school are grouped around a central atrrium space which contains social spaces, an Information Technology Tower, Learning pods and social spaces.